Meek Mill has opened up during his first interview since his release from prison this week. The 'Litty' rapper spent five months behind bars before being granted his released by the Philadelphia Supreme Court on Tuesday (24th April), garnered a huge amount of support on social media. Immediately after his release, Meek hopped on a helicopter and attended the Philadelphia 76ers game where he rang the opening bell to roaring applause. And now, NBC have previewed a preview of their upcoming interview with the rapper, which will cover his imprisonment, the response and aspects of the criminal justice system. 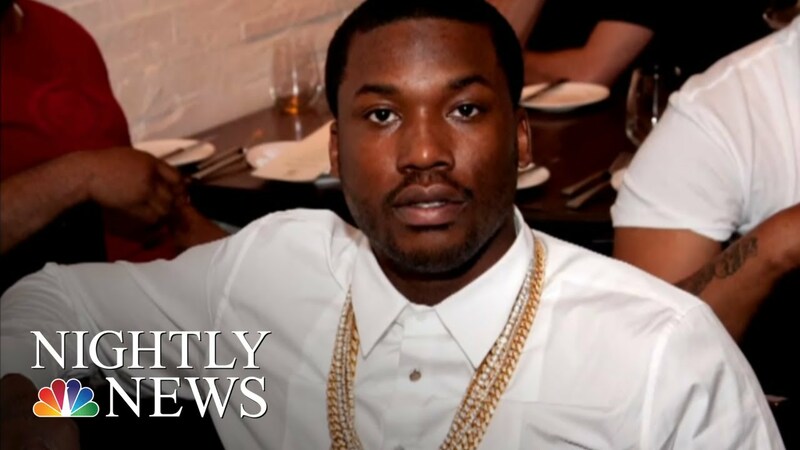 When asked by NBC's Lester Holt if he feels free, Meek replied: "No I don't feel free." ""I ain't feel free since I caught this case at the age of 19. I'm 30 now." Watch the snippet above. It was reported that Meek’s conviction on gun and drug charges was overturned following concerns surrounding one of the key witnesses, who was a police officer. Meanwhile, the final decision on whether this conviction will be completely thrown is expected within 60 days.